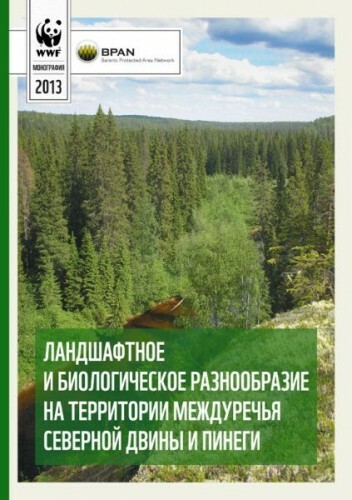 In October 2013, WWF Russia published the book Landscape and biological diversity on the watershed between the Northern Dvina and Pinega Rivers. 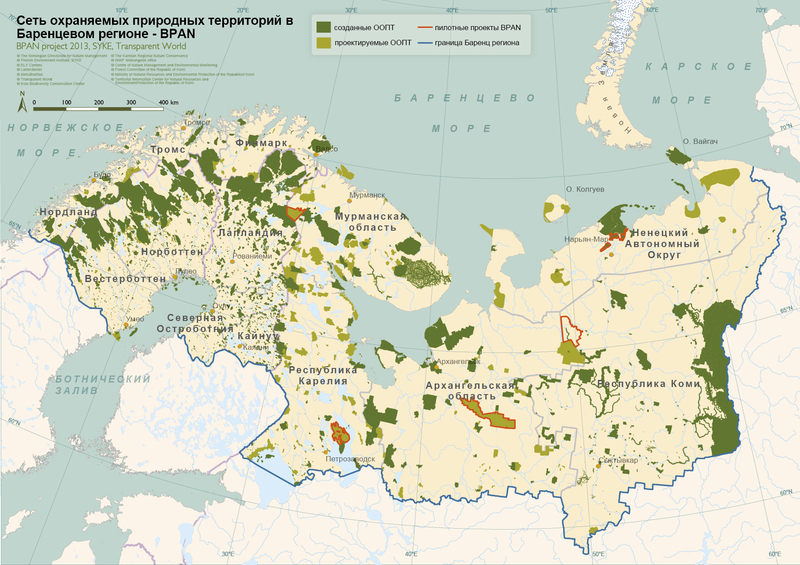 It presents the results of the long-lasting, thorough research of the unique forest territory of 1 million hectares in the Arkhangelsk Region. The book was published in the framework of the BPAN project. Area between the Northern Dvina and Pinega Rivers is the last large intact forest landscape in Europe not affected by loggings. 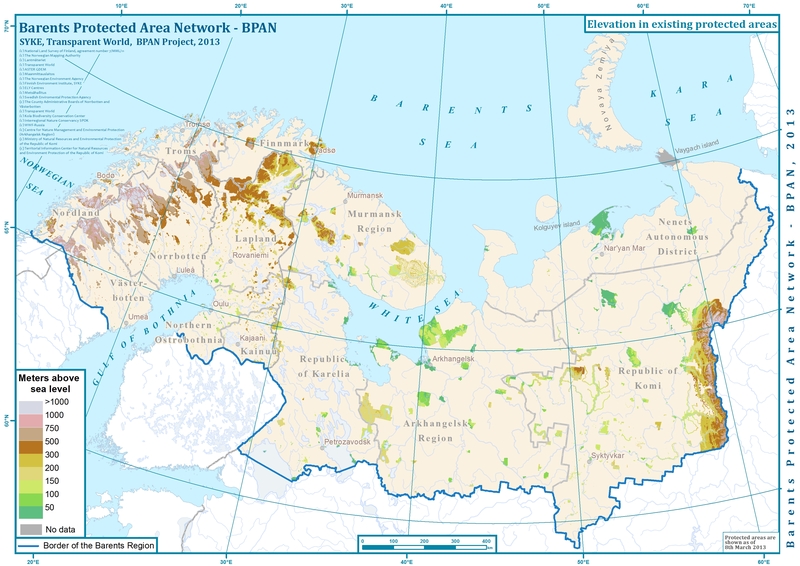 During years 2004-2009, WWF Russia organized expeditions to its most remote areas and adjacent logging territories. For the first time, specialists have carried out a systematic research on composition of species of mosses, lichens and aphyllophoroid fungi, fauna of vertebrates and certain groups of insects in the area. 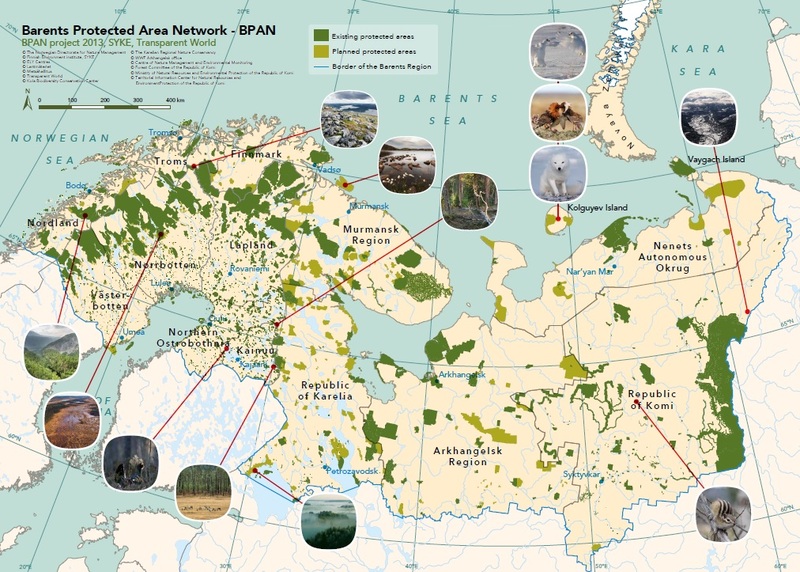 Until recently, industrial loggings were not carried out in the area due to the low economic value of old-growth forests and the distance from roads. 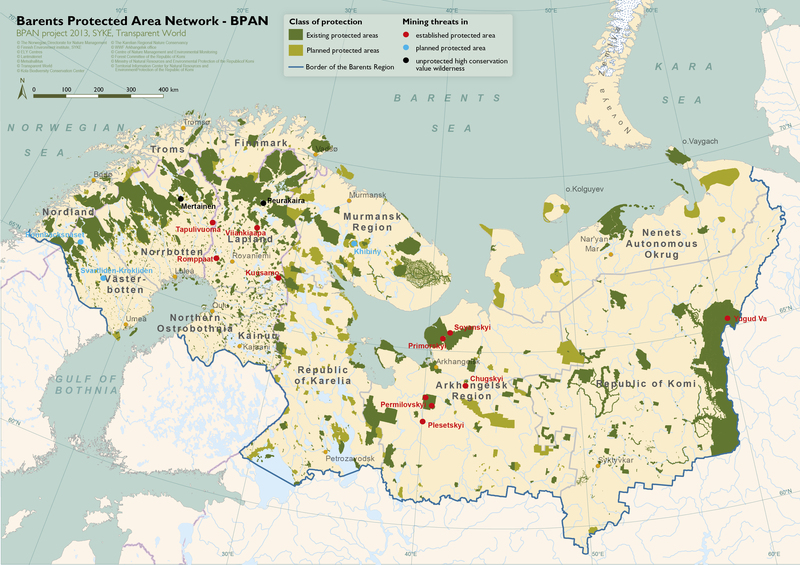 However, the depletion of available forest resources prompted the timber companies to exploit this untouched taiga wilderness. Clear-cuttings destroy the diverse natural complexes of intact forests. Forest loggings are harmful also to the local population, which is deeply dependent on traditional use of nature, such as hunting, fishing and picking mushrooms and berries. 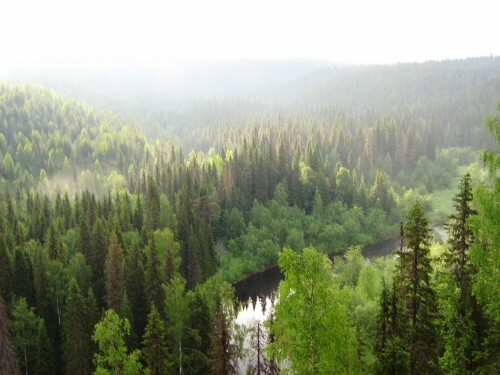 The Dvina-Pinega intact forest landscape is one of the pilot sites of the BPAN project. To preserve its natural values experts have proposed to establish a regional Dvina-Pinega landscape reserve (zakaznik). The pilot project results of the comprehensive studies on landscape and biological diversity, needed for the conservation proposal, are presented in this volume.